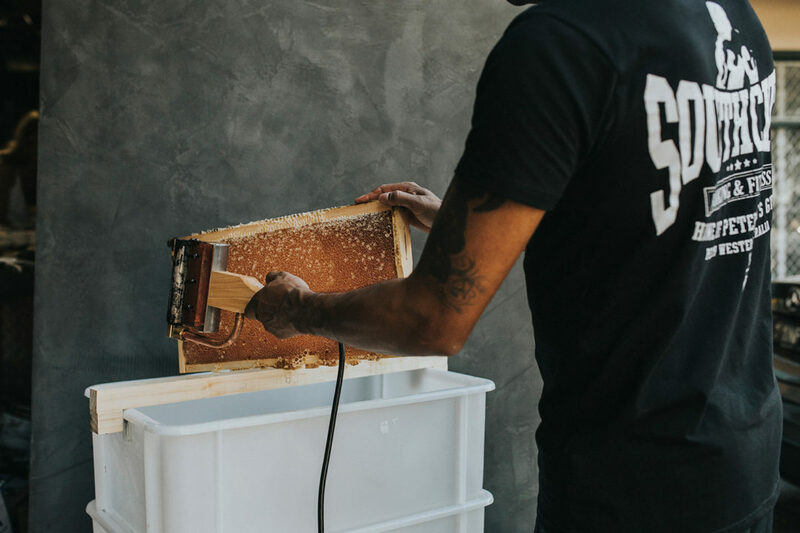 Uncapping - Unprocessed - Furious Bee Honey Co.
Uncapping. 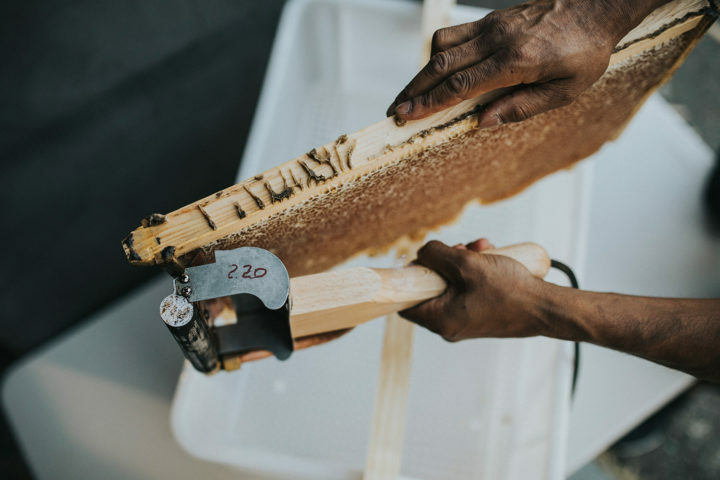 The process of removing the thin wax layer which the bees cleverly put over the top of a cell once it is full of honey. We keep it old school when it comes to extraction. Everything is done by hand and with care. It is a slow but stastifying process which is reflected in the wholesome, unrefined end product. 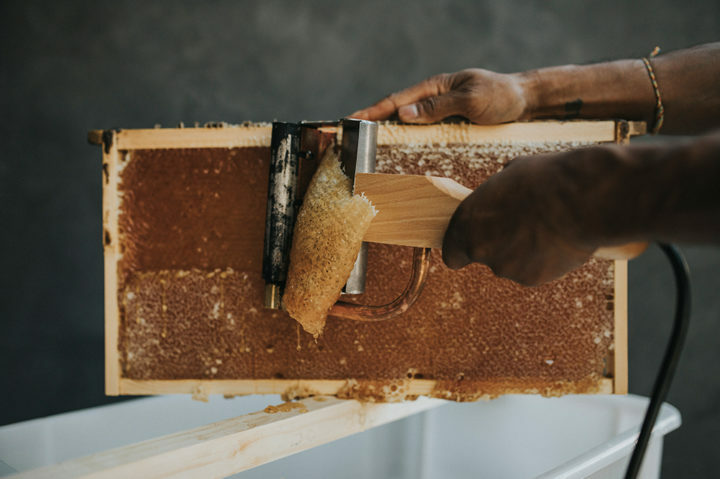 Romo uses an uncapping plane made by our mates over in the U.S - Maxant - he prefers this tool over the traditional knife becuase the copper blades are heated indirectly and thus prevent scorching of honey. The process itself is rather simple and minimal. That's how we roll, keeping as close to the real thing as possible. The honey frame is placed over two tubs that are stacked ontop of each other. The top tub captures the wax whilst the bottom acts as a drip tray and catches all the honey. Once the uncapping plane is nice a hot, it's like a hot knife through butter scenario, once the wax seal has been sliced off, this leaves the cell open. Ready for extraction.